Even though this is a very prevalent condition, most Americans seriously underestimate how serious it can be. However, that’s not a big surprise in a nation that treats many poor health practices as routine (high sugar intake, fast food, highly processed foods, etc.). The lifestyle that is prevalent in the US is the primary reason that more than 70 million in the country suffer from high blood pressure. If you’re keeping score, that’s shockingly close to one-third of the adult population. The standard for hypertension care in the US is medication. That is pretty much the same response to every ailment in an industry run by pharmaceutical companies. While blood pressure medications often come with a host of side effects, those side effects are better than being killed by the high blood pressure, so most people just deal with it. However, some case studies have shown that there may be a better way. The vertebral arteries bring blood to the brain by passing through the vertebrae of the upper cervical spine (hence the term vertebral). When the top bones of the spine are out of alignment, they can hinder this blood flow to the brain. Thus, the proper alignment of the spine is related to vascular health. Once the misalignment is corrected, proper blood flow can be restored. 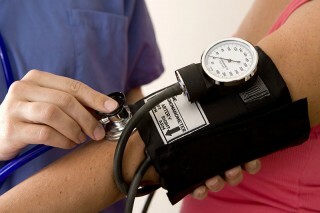 In turn, blood pressure may level off. According to a 2007 study, the results of upper cervical chiropractic care were the equivalent of taking two blood pressure medications. If you are ready to find a natural way to control your blood pressure, upper cervical chiropractic may be the right choice for you.